In February I was lucky enough to attend the ‘RemixPlay’ event at Coventry University. Hosted in the amazing ‘Disruptive Media Lab’ the day featured some really interesting speakers (Ian Livingstone (CBE), Bernie DeKoven, Professor Nicola Whitton and Dr Sebastian Deterding). 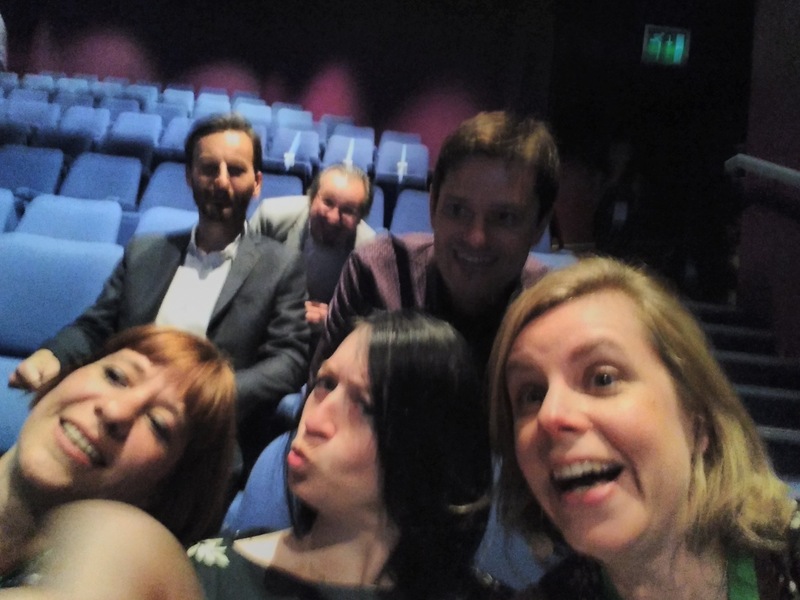 There are already some great write-ups about the event which I won’t replicate here, instead see the blog post by Daryl Peel from University of Southampton and The Flying Raccon’s write up of Remix Play. For me the conference highlighted the positive aspects of play and I left thinking that we should do more to invite ‘Playfulness’ in Higher Education. Creating a playful environment/community encourages exploration, collaboration, creativity and gives people agency to try things out and have the freedom to fail, all key conditions for learning. There is an abundance of literature on learning through play and it’s importance see ‘Play, Playfulness, Creativity and Innovation’ by Patrick Bateson, Bernard Suits book ‘The Grasshopper – Games, life and Utopia’ and the ‘How We Get To Next’ reading list on the Power of Play especially the video’s at the end. Games designed to enable learning are becoming more popular in Higher Education. Games are a more structured version of ‘play’ and allow players to problem-solve and often involve collaboration and peer learning. Although they often involve rules and winners, games give autonomy to the players and provide a safe environment to fail and to try and test things out. They are often about making decisions and then seeing the consequences and receiving feedback on your actions. As Professor Nicola Whitton stressed, students need low-impact opportunities to experience failure (micro failures); it’s how they get feedback, learn and improve. As part of an LTI grant, I have been working with colleagues in LTI on the LSE100 course to create a board game which was played in classes this term. One of the key difficulties when designing the game was to get the balance between play and content right. Too much content, and it’s not a game anymore, it’s a lecture and it’s not fun. Too much concentration on the game, and the learning outcomes are not as obvious and it’s harder for students to make the links between the concepts that you are trying to illustrate. We are now evaluating the game collecting and collating feedback from students and staff, so look out for updates on this shortly. 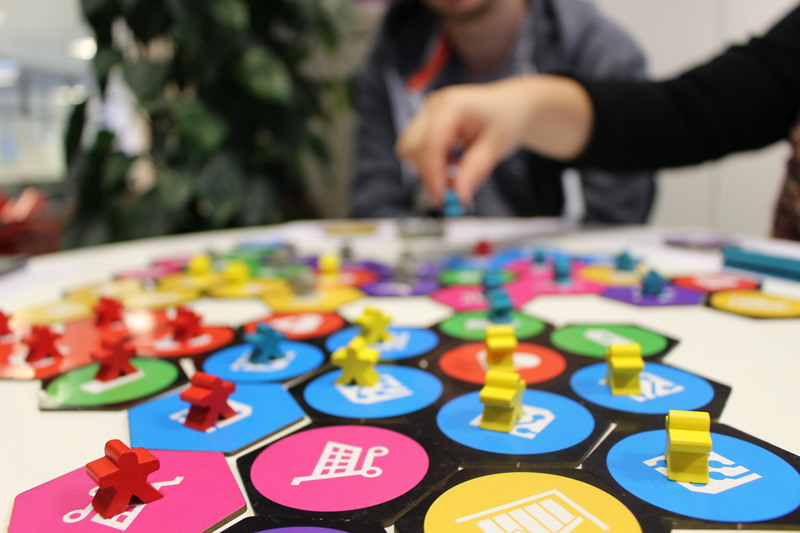 LTI has awarded several grants to projects involving games, including ‘Capture the Market’ board game mentioned above and an Ethnographic point and click video game, more info and resources can be found on our website. If you are interested in exploring the use of games in education, we are running a workshop on ‘Designing quick and effective games for learning’ with Alex Moseley on Wednesday 26 April. Alex has been involved with games in education for 8 years and has lots of experience with designing games for learning. You can read an interview with Alex on this blog and you can book a place on the workshop on Eventbrite. Applications for LTI spark grants are now open http://lti.lse.ac.uk/lti-grants/ with the deadline of Friday 5 May. If you are interested in finding out more, check out the LTI website and contact us to discuss your idea. The 2017 (Higher Education) horizon report was released a week ago by the New Media Consortium (nmc). It reflects on what the global HE sector is doing with and about (educational) technologies, how it deals with key trends and how it faces critical challenges. Most interestingly, it reflects on these trends and challenges and forecasts which technologies will be taken up by the sector in the short, medium and long term. It is one report to which it really pays to pay attention, and is short enough to be read in a lunch hour. For a shorter read you might look at their summary 10 talking points. Or you can stay with this blog post and have a look at my summary of this year’s trends, challenges and technologies below. I explain some of the terminology used in my summary of the 2015 Horizon report. Technology concepts are explained or linked to below. Key trends in the sector drive technology adoption, and in the short term these are: Blended Learning Designs and Collaborative Learning. In the mid-term, the sector is driven by Growing focus on measuring learning and Redesigning Learning Spaces. In the long term, the sector is driven by Advancing Cultures of Innovation and Deeper Learning Approaches. The sector faces plenty challenges, some that we know, understand and are able to meet ‘easily‘, because we have been facing them for a while now: Improving Digital Literacy and Integrating Formal and Informal Learning. The Achievement Gap, which “reflects a disparity in the enrollment and academic performance between student groups, defined by socioeconomic status, race, ethnicity, or gender”, and its ‘complement’ challenge to Advance Digital Equity present more of a headache and are a difficult demand on the sector as a whole. The report suggests as wicked challenges, those that are “complex to even define, much less address”: Managing Knowledge Obsolescence, and Rethinking the Roles of Educators. The former refers to the rapid rate of technologies cropping up and (possibly) vanishing again, while the latter refers to how teachers are to cope with that and the shift towards proper student-centred learning. The latter was mentioned as a key trend for the first time in the 2010 report and continued to appear until 2013, after which it was dropped, presumably as something that had happened. That this year it is highlighted as a wicked challenge suggests that a) it has become a much more pressing issue and b) educators continue to struggle with adapting to the changes in the Higher Education sector, and/ or the 21st Century as such. In about one year: Adaptive Learning Technologies (Think of it as mimicking the luxury of personal tutoring which reacts to individual students’ progress through their learning as it happens); Mobile Learning (harnessing the awesome computing power that almost all of us have in our phones these days). In about 2 to 3 years: The Internet of Things (your fridge tells your phone to tell you to buy milk; moodle tells your students’ Applewatch to remind them to eat porridge and finish their dissertation); Next-Generation LMS (Moodle, but a bit slicker? So Moodle with a make-over…). In about 4 to 5 years: Artificial Intelligence (intuitive computer tutors; HAL); Natural User Interfaces (“speech recognition, touchscreen interfaces, gesture recognition, eye-tracking, haptics, and brain computer interface”). How good at predicting are Horizon reports? In a follow-up post I will offer an overview of ten years of Horizon report predictions. LTI are pleased to host Professor Robert Allison Vice-Chancellor & President of Loughborough University for our first NetworkED of 2017. 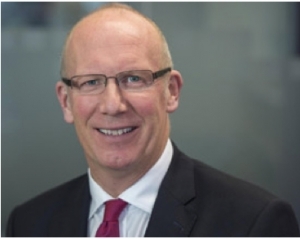 Professor Allison will be discussing the role that technology and innovation have played in the success of Loughborough in becoming one of the leading universities in the UK, and the challenges he sees in the ‘uncertain futures’ for HE over the next 5 years. Ahead of his NetworkED seminar next week we had a quick Q&A with Professor Allison. Q. You have been the Vice-Chancellor and President of Loughborough University since September 2012, how has Loughborough responded to the significant changes that have occurred in Higher Education during that time? Loughborough has responded by maintaining a degree of agility, allowing us to respond promptly to the expectations of our students and through working in partnership with them as stakeholders in the University, not as customers or consumers. Q. Loughborough University has been successful in numerous university rankings during this time including being awarded 1st for student experience in the TES 2016 survey, what are the key principles at the heart of that success? The most important factor in our success has been seeing our students as co-creators of their education and wider student experience and, through this, giving them a tangible link to the success and future of the University. Q. What role have technology and innovation played in the enhancing the student learning and teaching experience at Loughborough? In some areas the role of technology has been significant, in others not relevant at all. Q. 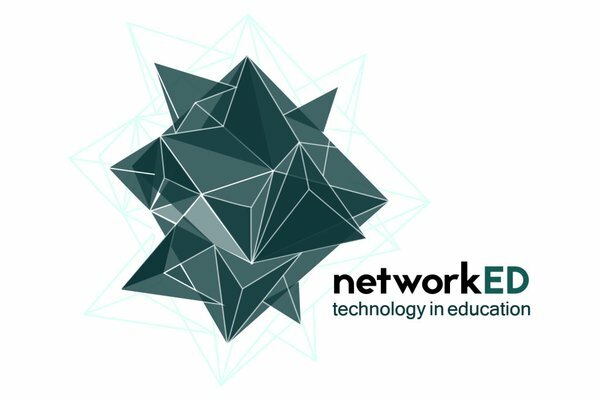 The theme of the 2017 NetworkED seminars is ‘Uncertain Futures’, what do you feel will be the most potentially disruptive (or transformative) issue facing Higher Education institutions in the next 5 years? For those that cannot attend the seminar will be recorded and added to the LTI Youtube channel. Andy Moss from Pearson Education on Wednesday 14th June. James is a Jisc project manager and was previously the Group Director of IT and Learning Technologies at Activate Learning which incorporates City of Oxford College, Banbury & Bicester College and Reading College, where he was responsible for ILT, IT Services, Business Systems and Learning Resources. “Mapping is an useful exercise in uncertain times to think about practice and though any such map may not be accurate or complete, it does allow you to consider and think about actions and training required to change behaviours or how spaces and tools are used. Over the last few years we have seen considerable use made of mapping the use of social networking tools using the concept of Visitors and Residen ts. This was developed by Dave White, Donna Lanclos and Lawrie Phipps into an exercise that could be used to think about a current snapshot of their practice. The mapping exercise makes you consider how you are using various tools and what needs to happen to change that map, how do you become more resident when using a tool such as Twitter for example. Or how do you start using a tool which is currently not on your map, such as a professional blog? The key thing I like to remind people about when using the mapping that this is a continuum and not a distinction between two groups. Your personal Visitors and Residents map is not, and should not be a static thing. The mapping changes as new tools are introduced, old ones retire and your role and behaviours change. The Visitor and Resident mapping exercise in the main covers digital communication, collaboration and participation. This session discovers if we could we use a similar concept to map teaching practice, curriculum design and learner practices? 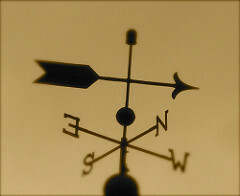 Sometimes it’s not just about knowing where you are, and where you need to be, but how you get there”. 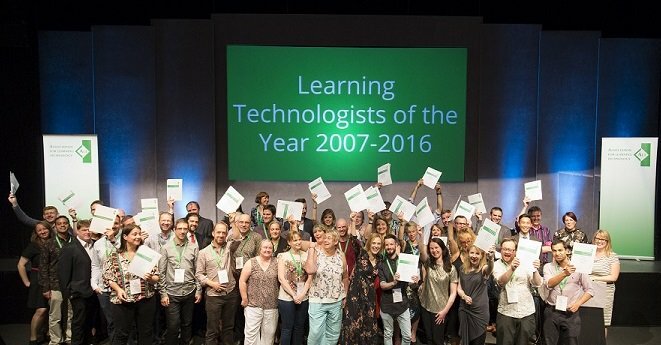 Last week staff from LTI attended the Association for Learning Technology’s annual conference (ALT-C 2016). It was an eventful three days at the University of Warwick for the team, with five of us presenting a total of 4 papers and one keynote. 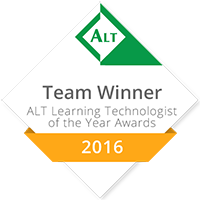 And oh, we also won the Learning Technologist of the Year Awards! Learning experiences and virtual learning environments: It’s all about design! 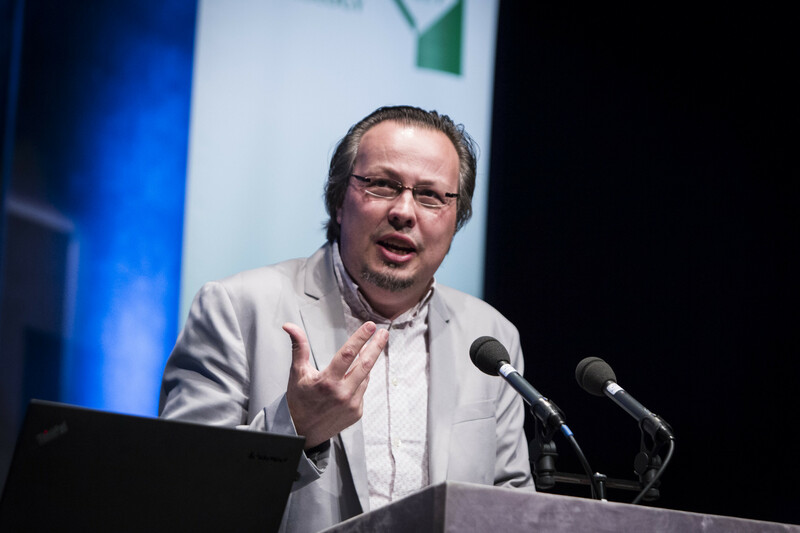 In the first part of his presentation, Peter described his new approach to teaching and learning whereby seven learning experiences (found, making, identity, play, discontinuity, authenticity and community) can “shape, influence and enhance the opportunities for students to learn, to share learning and to teach others in a post-digital world”. Participants then discussed how existing learning technology tools could be used to create such learning experiences. While Sonja was presenting on virtual spaces, Kris and myself discussed physical teaching and learning spaces. More specifically, we reflected on a recent project to develop new active learning spaces at the LSE that made us wonder about what our roles and responsibilities as learning technologists were in the design of learning spaces. Copyright and eLearning: who else but Jane Secker? Jane presented a paper AND a keynote at ALT-C this year! 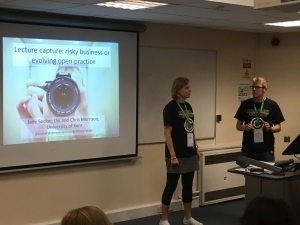 Lecture Capture: Risky Business or Evolving Open Practice? co-presented with Chris Morrisson, Copyright Licensing and Compliance Officer at the University of Kent. Jane and Chris presented the findings from a recent survey on institutional attitudes towards intellectual property issues in relation to lecture capture and contents used in lectures. They also reflected on the relation between good policy and good practice and how to support staff in implementing and encouraging it. Jane presented an entertaining, fun, moving and very interesting keynote on how a better understanding of copyright can empower copyright users and educators. Last But Not Least: We won! 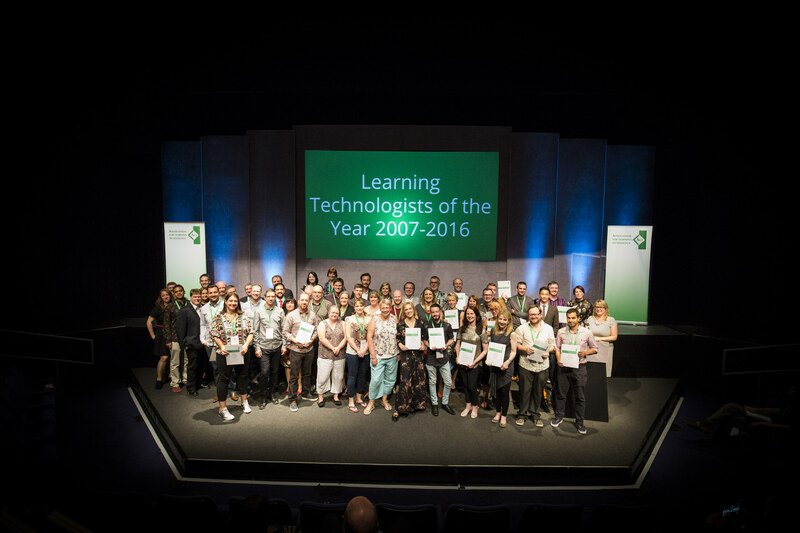 LTI was presented with the prestigious Team Learning Technologist of the Year Award last Wednesday for their work around Students as Producers. 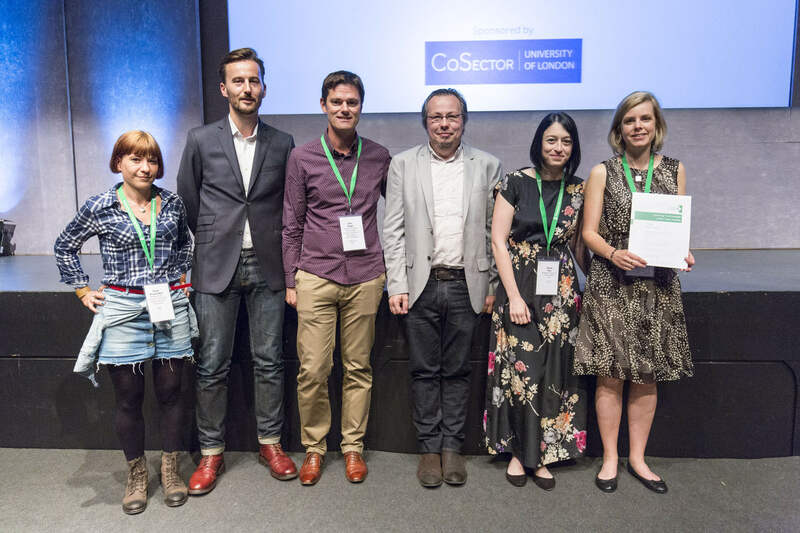 The award recognises “outstanding achievements in the learning technology field and the promotion of intelligent use of Learning Technology on a national scale”.